Thank You for Registering with NaturalGirlDiary.com! automatically entered any time we host a giveaway. Get All of Your Freebies Below! to Boost Mood & Enhance Memory "
Click on the image above to download the recipes! 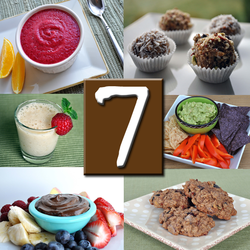 "7 Healthy Snacks" Your Family will love! !